Many within the UFO community are quick to draw a parallel with this news to the recent Pentagon UFO videos facilitated by To The Stars Academy Of Arts and Science and Luis Elizondo's continued media tour. Now, is the timing of the news coincidence or has someone within the government tipped Trump off about the possible existence of extraterrestrial life and secret UFO programs? 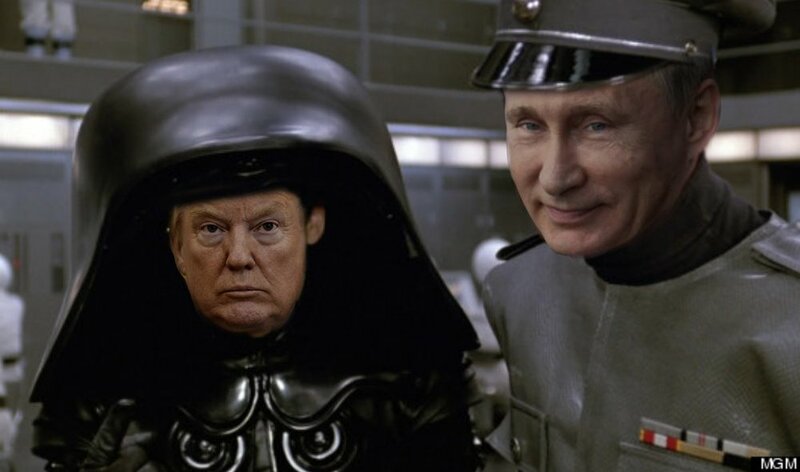 There's a few factors to consider here in terms of if this "space force" is legit. Let's look at the daily turmoil at the White House from the ongoing Russia investigation, the revolving door of staffers, personal scandals, legislative and overall failures , and think the CIA or any other organization would make Trump and his cabinet privy to any "disclosure" or unidentified aerial "threats?" Where does space exploration or space defense rank on the list of Trump and co.? The ridiculous wall in Mexico is never going to happen, so what faith should the American people have in this pipe dream of a "Star Wars"- like fantasy from an administration that can't get anything done to begin with? This is just another case of Trump throwing stuff out there with no real context or anything in place in terms of execution. Trump hasn't been favorable in terms of funding NASA and space in the past, opting to push a pro-business space agenda over the programs at NASA and also failing to mention space exploration during a State Of The Union address. This researcher doesn't believe Trump has been briefed on anything UFO related, while some people around him very well may be, but even if a UFO "threat" was on the horizon it appears there are other looming threats (North Korea) that may take precedent at the moment. There's a growing number in Ufology that think between the Pentagon videos, Elizondo's appearances and Trump's space force that big, Earth-shattering news is coming soon.